Since the first version of our Turn Off the Lights Browser extension (released on 15 December 2009), we take all your feedback, security and privacy concern very seriously. For instance, if you do not like a feature we take immediate action to improve this bad experience. Because the goal of this browser extension is to keep it simple for our users with no annoying elements. That includes no unnecessary popup that warns you to update your web browser. The browser extension has one single purpose. So that you get the best internet experience and you can increase your education, productivity or entertainment time. In conclusion, you have control over what this powerful browser extension should and not do. And you can manage the settings all yourself in the Turn Off the Lights Option page. Also, we believe that the Turn Off the Lights browser extension is the industry standard to get the best dark experience in your web browsers. And it is one of the reasons that this browser extension is featured by Google, YouTube, Mozilla, Microsoft Edge, Opera, and the Yandex web browser. 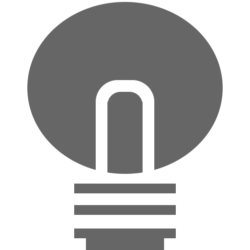 The Turn Off the Lights Browser extension is an open source project and you are free to read in our code on Github website. Above all, it is very easy to read, line by line and it is not encrypted with random variable names. From the beginning, we build our browser extension by the user feedback, such as from you. And if you find a problem, a bug, or you need any help, we are here to help you on the official Turn Off the Lights support page. Sometimes we can do it better. And we would love to hear your feedback, your concern and what you like and do not like in this free and open source browser extension. Please help and fill in this feedback survey. It only takes about 3 a 4 minutes of your time. The feedback survey is anonymous and confidential. It is American Education Week (November 12-16, 2018). And we want to share you a review from a teacher, that from Carmella Hughes (Technology Integration Specialist K-5). She recommended you to use the Turn Off the Lights Chrome extension. Because it brings success in minimizing distractions for special needs students. The tool I chose to try was, Turn Off the Lights, a free Chrome Extension. It works with all Flash videos, HTML5 videos, Silverlight, Quicktime, and Windows Media Player. You can use this tool on YouTube, Vimeo, Hulu, Yahoo, Facebook, and many other social network sites. Once installed, you simply click on the lamp icon in the toolbar to turn this feature on and off. The purpose of this tool is to dim or obscure the background of any video. This process masks ads and suggested videos on the page. The extension can be customized. On the options page, you can choose the screen color and opacity of the masked area. You have the option of a linear gradient background or you may add a static or animated image for the background. There is a speech recognition feature that enables commands such as, “Hey browser, turn off lights.” When I tried this extension, I used a solid gray full opaque background that I hoped would limit the brightness of the projection and provide a greater comfortable level with less visual distraction to the viewer. I found Turn Off the Lights Extension to be quite successful in meeting my needs to support my learners. Here are some of the children that could benefit from this extension. Special education students need multi-sensory strategies to encourage and support their learning. Movies are great motivational and stimulating tools to teach or reinforce content using visuals and sound. However, many videos are embedded on a page with other text and images. It is often a busy page. Special needs students require learning environments and situations that minimize distractions. Limiting clutter on a page is beneficial for students with autism and ADHD. Students with sensory processing disorders evidence more success with learning when visual distractions are kept to a minimum. Less information on a page by concealing non-vital parts of the page will help to keep the child focused on what is important. Dim lighting and less distracting stimuli are key accommodations for these learners. Also students with visual processing or perceptual disorders have difficulty making sense of what they see when taking in information visually. Turn Off the Lights, blocks out all but the video on the page. This tool certainly would help these challenged learners to focus on the one important visual that is the content of the lesson. I would highly recommend this extension, Turn Off the Lights, for its ease of use, optional customizable features, and success in minimizing distractions for special needs students. Haven’t tried the new Turn Off the Lights Chrome extension? You can download the Turn Off the Lights Chrome extension on the Chrome Web Store. And if you like Turn Off the Lights, don’t forget to support our work by donating a small amount. This to keep our browser extension online for everyone.